What made the X-Men so popular wasn’t their fancy costumes, cool powers, or team dynamic. Every comic book of their era had those things. In fact, when the book was first released it didn’t do well, ultimately going into reprints until it was relaunched with issue #94, one of the landmark moments in comic history. What eventually appealed to the public was the angst underlying the core of the book. The X-Men were people on the fringe of society. Outcasts. A group just trying to fit in. That was something that every comic book reader could relate to on some level because it’s a common thread in all of human history. 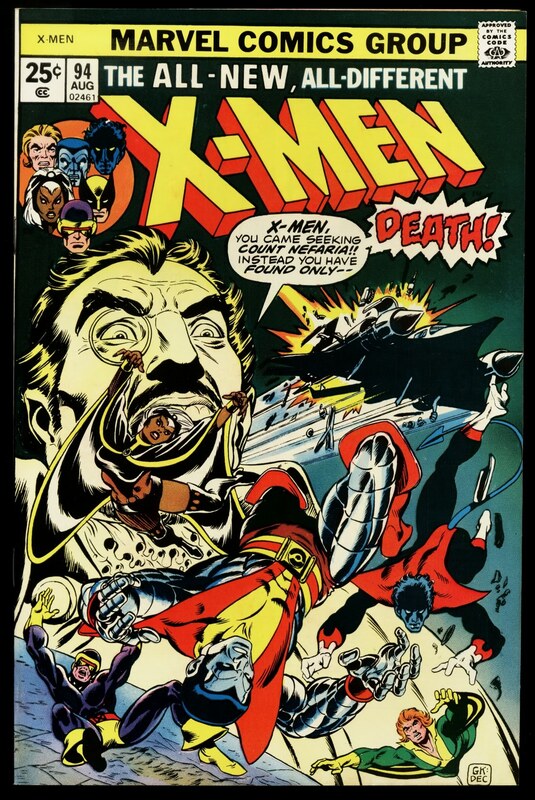 Chris Claremont did an amazing job of making these characters relatable and Dave Cockrum and John Byrne did an outstanding job of visualizing who they were and making the words come to life in images. Most fans don’t remember a time when the X-Men weren’t the marketing juggernaut that they are today. Spawning multiple books, a lucrative movie franchise, toys and games galore – you know you’ve made it when you’re featured in the equivalent of a Happy Meal. But it didn’t happen overnight. Marvel is seemingly calling a halt to the megastorm of success they’ve achieved with the Merry Mutants and instead deciding to focus their attention on another group that’s been around for decades – the Inhumans. The Inhumans for most of Marvel history resided on the moon. They were humans with superpowers, genetically altered by the alien Kree, and far more advanced than their genetic cousins on Earth. But until recently, they’ve been pretty much bit players in the Marvel Universe. Then all of a sudden, they sprang into prominence. In the summer of 2013, during the Infinity multi-book cross-over event, the leader of the Inhumans, Black Bolt, released the Terrigenesis bomb which spread the Terrigen mist all over the Earth. Terrigen mist is what initially gave the Inhumans their powers and those humans with latent Inhuman genetics were suddenly transformed overnight into a superhuman army. New superhumans started popping up all over the globe and suddenly the Marvel Universe became Inhuman. There’s been a lot of speculation about whether or not Marvel is conspiring to undermine Fox. Fox owns the movie rights to all things mutant and with Marvel’s seeming shutdown of the mutant population, speculation was bound to arise. But this move is more likely about creating synergy – something Disney is spectacular at doing. If the X-Men were a marketing juggernaut, Disney is a bigger one. Disney laid the seeds out pretty well to position the Avengers for their own movie. Not just in the movie world but in the comics world also. The Avengers suddenly started getting top named talent to write and draw their books. The Avengers started having spin-off books faster than you could say “mutants.” The Avengers were even leveraged against the X-Men in the popular Avengers vs. X-Men comic event (and look who got top billing). Comic books starring Avengers characters also got top attention such as Iron Man and Captain America. The groundwork paid off. The Avengers was one of the most profitable, most successful movies in the history of cinema. At a gargantuan $1.5 billion plus, it ranks as the 3rd highest grossing film ever. You know what’s listed at #5? Iron Man 3. Nobody thought Guardians of the Galaxy was going to do well. A little known Marvel property with a small cult following? Who would bet on that? But the folks at Marvel had a story to tell and an overarching plot that tied in to the BIG picture as it is becoming unveiled in the Marvel Cinematic Universe. And at the end of the day, this little known cast of characters came in as the second highest grossing movie of the year. The other Marvel movie? Captain America: The Winter Soldier came in at number four, ahead of Transformers, X-Men, and Spider-Man. So if Marvel is promoting the Inhumans and pushing them to the forefront, it’s probably more about strategic positioning than anything else. 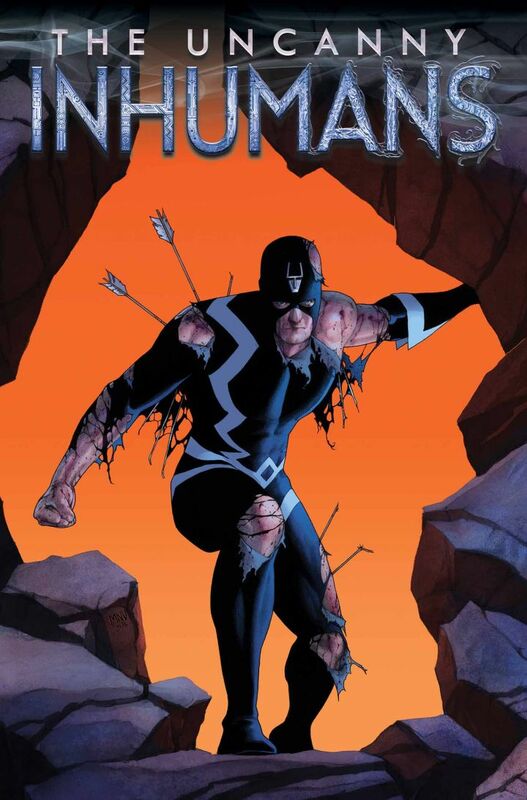 After all, there is an Inhumans movie coming out in 2019. No time like the present to get that ball rolling!